There are very few destinations in Scotland more suited to lovers of the great outdoors than the wonderful Highland resort of Aviemore. From the ancient forest and winding paths of the Rothiemurchus Estate, to adventurous hikes through Glenmore Forest Park and beyond, the freedom within which to go walking and experience an area of such natural beauty is an opportunity too good to miss. Aviemore is situated in the centre of The Cairngorms National Park with excellent transport links from Glasgow and Edinburgh in the south and Inverness to the north. With a thriving tourism industry, this bustling town offers a diverse range of outdoor activities and pursuits which can be enjoyed throughout the year. The town has a range of attractions which only add to the enjoyment of your stay. With visitor attractions such as the Speyside Steam Railway, the Mountain Railway up Cairn Gorm or the nearby Osprey Centre, there is more than just walking, cycling or skiing to enjoy while you’re here. Within the town centre is a variety of shops, hotels, restaurants, pubs and local services, providing locals and tourists with everything needed for a modern day community and holiday retreat. The Explore Aviemore walking holiday is not a long distance trail. Unlike other packages like the West Highland Way or the Heart of Scotland Trail, you will be based in a single location for the duration of your stay. Whether your preferred accommodation is a quiet and relaxing self-catering lodge or the more catered for environment of a town centre hotel, our holiday booking service will ensure you are provided with the best possible stay to suit your needs. The area in and around Aviemore is a haven for walkers. 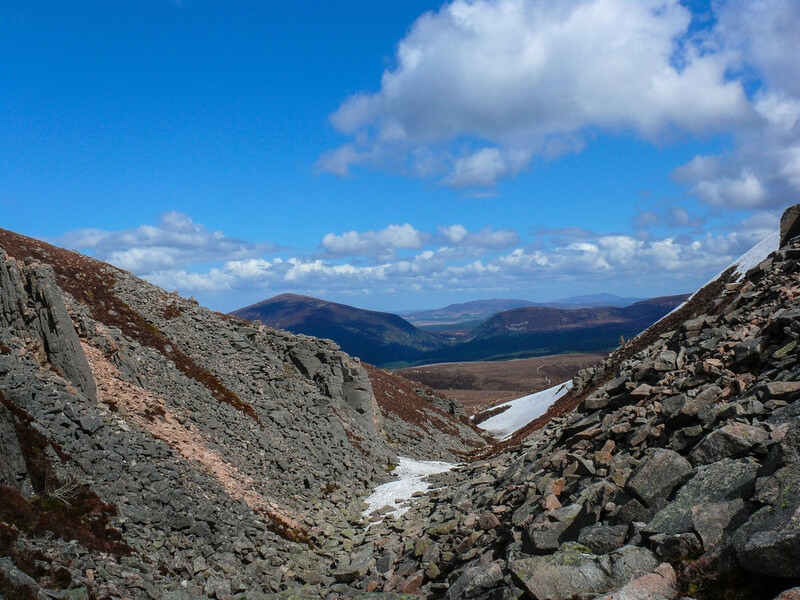 From low level, easy going walks to full day hikes in the Cairngorms, there are an abundance of opportunities to explore Aviemore on two feet. At WAS, we have carefully selected a series of routes across the region, ranging from short, straight forward walks such as the 3 mile circuit around Loch an Eilean, to more strenuous full day hikes through the mountains around Cairn Gorm. 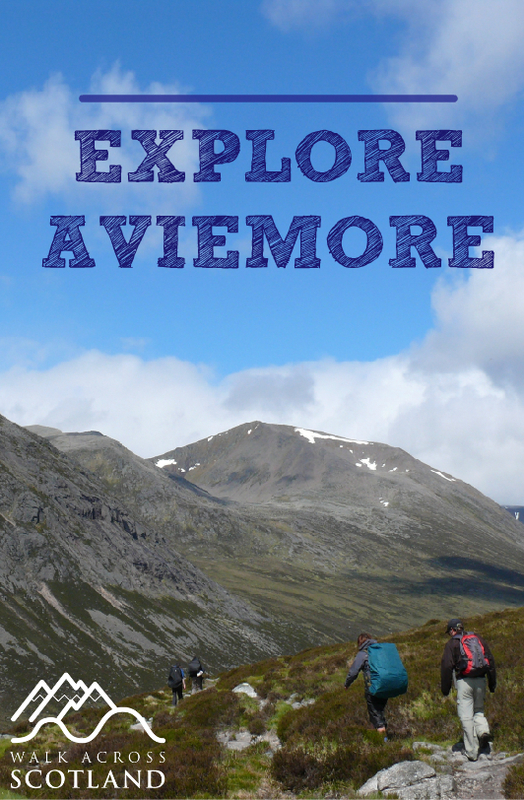 The area is well served by organisations who have produced excellent maps and walking routes for the benefit of the general public, and we are delighted to offer some of these publications in our Explore Aviemore package. Featuring over 30 individual walking routes, with numerous more paths and trails to seek out, the Explore Aviemore package provides the avid walker with everything they need for an adventure holiday in the Cairngorms. A number of the featured walking routes are also suitable for cycling. With some excellent cycle paths on the road to the Cairngorm Ski Resort through Glenmore and Rothiemurchus, the National Cycle route (NCN 7) from Newtonmore to Aviemore and north along the Speyside Way, there is a great deal on offer for a day or two on the bike. The Explore Aviemore holiday includes the option of either self catering or bed and breakfast hotel accommodation. "Offering Self-catering accommodation for families, friends and pets. Surrounded by Pine Trees on the banks of the River Spey, yet less than 1 kilometres from Aviemore village centre with a great Inn next door, Pine Bank Chalets has the best of Aviemore on it's doorstep. Many of the units are pet friendly so you can bring your dog too." The Cairngorm Hotel is Aviemore's premier independent hotel, with the staff offering a warm and friendly welcome. The atmosphere and architecture of this delightful hotel reflects true Scottish traditions and the famous Scottish Highland Hospitality is much evident here, proving that the hotel is much deserving of it's Scottish Tourist Board 3 star rating. Situated opposite the railway station, in the heart of Aviemore, 'The Cairn', is a family run hotel where a warm welcome awaits. Self-catering at the Pine Bank Chalets does not include food and drink. The town centre offers a variety of shops and outlets for purchasing goods and services. The above prices are indicative only. Seasonal variances may be applied to room and cabin rates, while discounts may also be available for off-season and mid-week stays. This information will be provided when we have received and reviewed your Booking Enquiry or Book Now Form. If you would prefer an alternative period of stay, please let us know using the Enquiry Form and we will do our utmost to tailor the holiday to your needs. Details of town services; including shops, restaurants and Inns. This holiday is suitable for single bookings, however, WAS highly recommends that all walks are attempted in groups, particularly those routes which head into the mountains and forests, where effective navigation is extremely important. Although travel to and from Aviemore is not included in the holiday package, we are more than happy to provide details of public transport services. Train - Aviemore is well serviced by a rail link carrying passengers from Edinburgh, Perth and Glasgow in the south, to Inverness in the north. Bus - There is a frequent bus/coach link which follows similar routes to the trains north and south. Local - Travelling locally is assisted by excellent bus and taxi services - excellent for drop off and pick up to and from selected walks in the area. Transport links will be detailed in your holiday information pack. WAS highly recommends that all customers have suitable travel insurance in place at the time of the holiday.